Hi guys! I am back with a new card, and I’m pretty excited about this one! I doodled! Now, my doodling is not all that but all in all the card came together the way I envisioned it in my mind. I’m submitting this card in the Paper Smooches SPARKS Challenge: Anything Goes. I fell in love with the Paper Smooches bee when I first saw it, and I knew it would be perfect for this card. I wanted something with a pop of color since the card was going to be black and white. 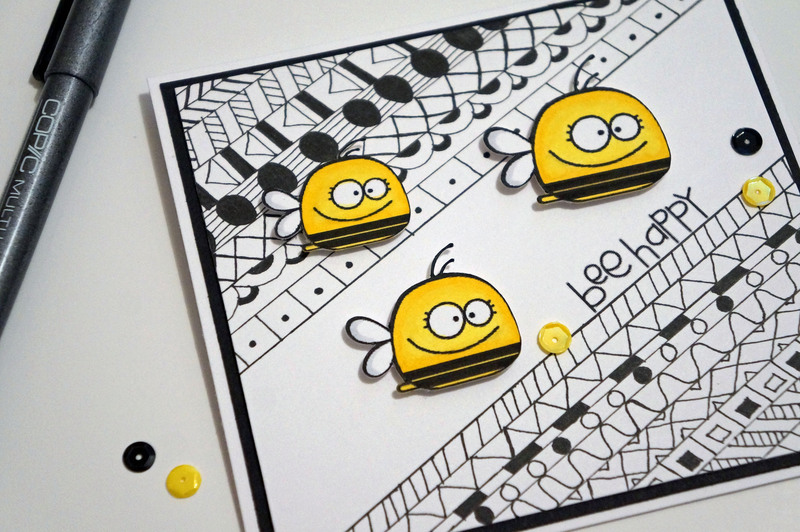 I really want the “Bee Mine” stamp set but because I’m so impatient I decided to go ahead and use the free digital stamp of the bee and use the “bee happy” sentiment. I cut my bees with my Cricut Explore and I printed the sentiment with my printer. 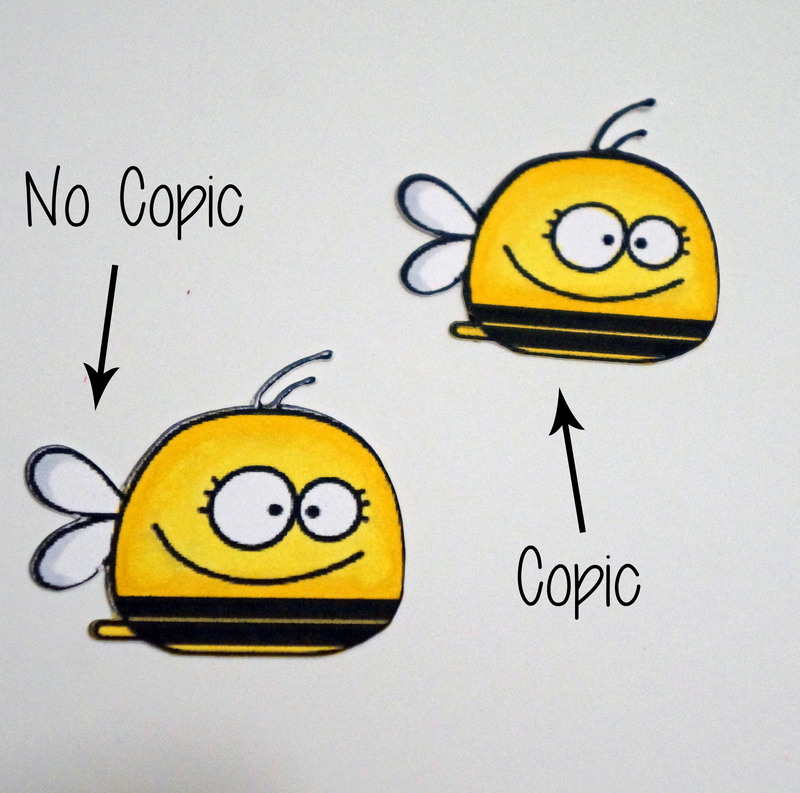 As you can see in the picture below, my bee didn’t have a perfect black outline because of the way the Cricut cut it. I used my Copic pen to go over the edges to make the outline better. 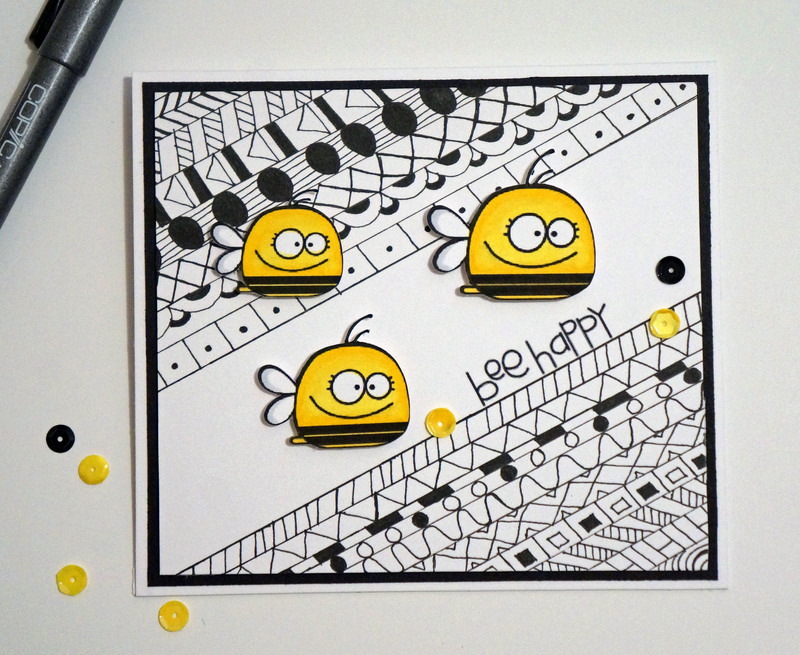 Then, I added the bees to my card with foam adhesive. I finished off the card with a couple of sequins and voila! That’s it for now, hope you guys liked my card! 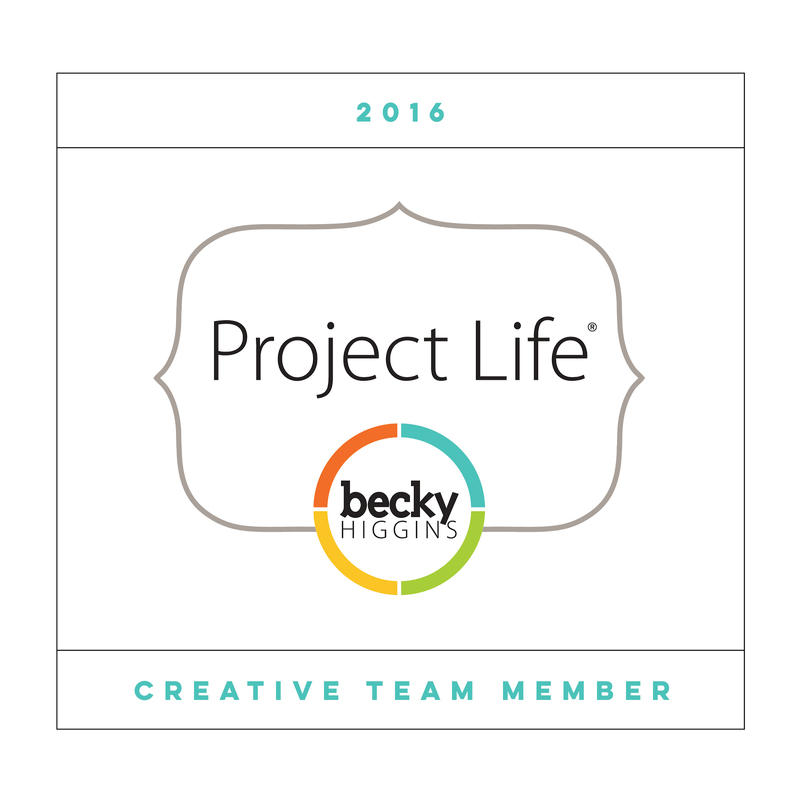 Don’t forget to check out The Lovely Pear on Facebook and Instagram! How fun is this card!!!! It makes me smile! Cute 🙂 I’ll have to try some doodling. Thank you! Yes, you should definitely give it a try! So fun! Love your doodled background. The yellow bees really pop against it. Thanks for joining us at Paper Smooches SPARKS! 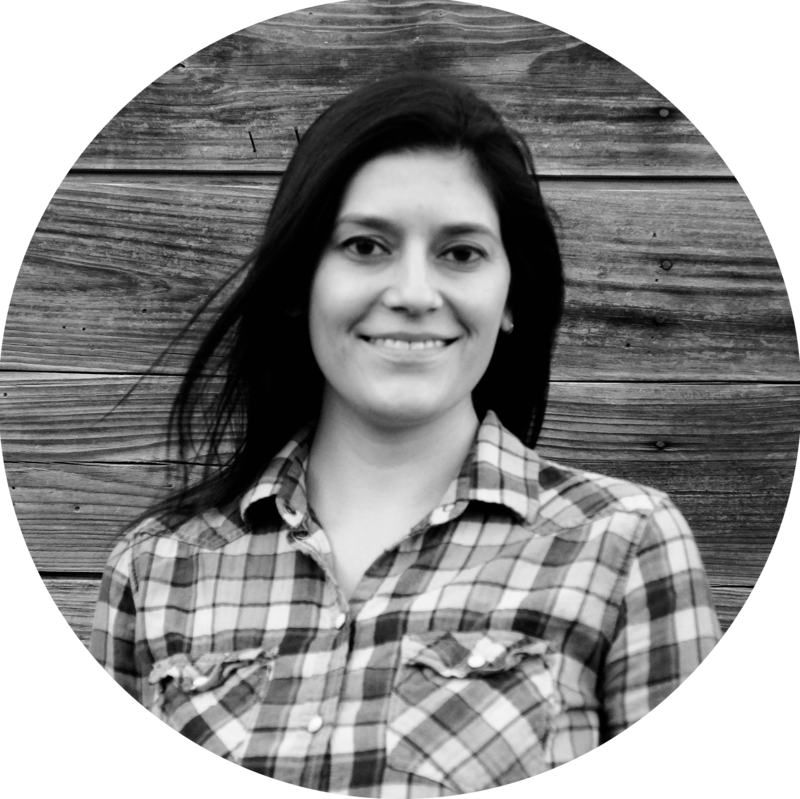 Thank you Larissa! I’m working on it!